Two people are dead following a serious crash in Sarasota that shut down northbound I-75. 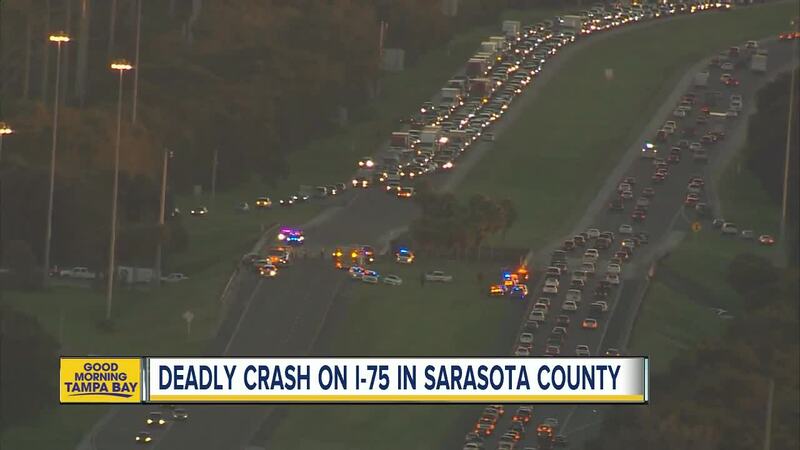 SARASOTA, Fla. — Two people were killed Friday when a multi-vehicle accident shut down northbound I-75 in Sarasota. Four cars were involved in the crash, according to FHP. One driver didn't realize the other cars were slowing down and hit another car, which led to a chain reaction. The accident spanned three lanes, FP says. Northbound I-75 was shut down for several hours, while the southbound lanes experienced serious backups from the accident. Authorities say charges are pending.